SS, MEDICARE, & MEDICAID CUTS COMING? MOUNT ETNA SLIPPING INTO THE SEA? DID SINCLAIR LEWIS CHANNEL HIS BOOKS? There are some special Benevolent Prayers (BPs) to say out loud today. One is for the elections and one is for the migrants as they are walking 1,500 miles to the US border. Please be compassionate to these people. You raise your vibrational levels when you are. THE GENTLE WAY I: Elizabeth wrote: "I highly recommend this book series. After reading numerous books on spirituality I find this book/method to be the clearest and "most benevolent." Saying the benevolent outcome for any circumstances in my life results in an easier life. I highly recommend this book series." ATLANTIS & LEMURIA: LG wrote: "Truly an inspired read---I loved it! Two lost continents/civilizations examined in detail: Their ancient history, culture, advancements, and demise, plus so much more. A book to hold onto and reread." SS, MEDICARE & MEDICAID CUTS COMING? Diane writes: So many worries are going on right now in our country. Social Security is one of the main issues. According to some sources they want to make it a private entity or get rid of or reduce the coverage to many people. Will we lose Social Security in the next 25 years or less? Will we not have Medicare in the next 10 years or less? And if we do lose these what will happen to the people in this country who depend on Social Security? Gaia, what is the probability of social security, Medicare, and Medicaid being cut or reduced in the next five years? As you suspect, Tom, the changes in Congress at the Mid-term elections will prevent that from happening, and that includes after the 2020 elections too. Congress will not have the votes to slash Social Security. Connie writes: First, why do you keep getting messages that the Democrats will take the Senate in the midterms, when it is predicted that the House is likely, not the Senate? Second, it appears that Melania Trump is trying to offset some of her husband’s worst comments and actions (e.g., her trip to Africa). I feel that she is benevolent. What is to become of her? 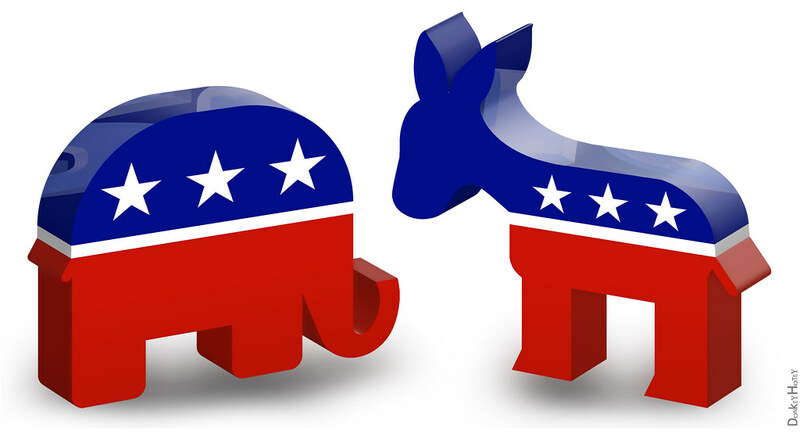 Third, will the two parties ever become normal and cordial to each other again? If you have noticed, President Trump and the Republicans are putting a full scale effort to reverse the typical mid-term trend of the prevailing losing seats in the house and senate. On the news today they announced Trump will do two rallies a day leading up to the elections, and that the voting turnout is as high as a presidential election—good for the Republicans, not so good for the Democrats. When I was told that it would just be the Senate, it was well before all this posturing started taking place. I covered Melania recently. She believes she can make a benevolent difference in the world. Gaia, will the Democrats and Republicans ever be cordial? I chuckle at their division. They would accomplish so much more if they will learn to work together and not for the lobbyists for large corporations. Yes, they will learn to work with each other, but it will take a few more years. There will have to be people elected that pledge to work across the aisle. Those people are slowly being elected. There will be a few more in this November election, and even more in 2020. You can say a BP for people to be elected that will work across the aisle for the best interests of the people and not just special interests. Gaia, what is the highest probability for the two El Salvador caravans, regarding not only their trek across Mexico, but their attempt to enter the United States? Naturally, with 1,500 miles to walk, there will be a number that fall out along the way. There will also be a few deaths due to accidents and illnesses. Those that make it to the border will naturally be met with resistance, but many will claim refugee status and a smaller number will be accepted under U.S. immigration rules. Many will look upon them with compassion. You can say a BP for their safety and to find a permanent home. Independent News in UK suggests that Mt. Etna may cause major tsunamis if it erupts and slides into the sea. Click here. Gaia, is Mt. Etna in danger of slipping into the sea as some scientists suggest? Quite so. I know you thought I would say no, or that it would be far in the future—and it is in the future—just not as far as you and other scientists might think. Should I decide to activate Mt. Vesuvius and the other volcanoes in that area in the coming years, Mt. Etna could very well slip. Obviously, this would cause a catastrophe for the Mediterranean basin, but I have warned you previously that these volcanoes around the world are connected, Tom, and Mt. Etna is part of that network, we will call it. Then, are we again talking about that five year window of 2022 to 2027? Yes, that is the timing, as that is when Yellowstone has that 71% chance of erupting. I must bring changes to the Earth, and that is how this is accomplished. Will there be plenty of warning, so that people can move out of the way? People will look at something happening on the other side of the world and will think that it does not affect them, Tom, but they are dead wrong. The Earth is a living thing, and I must manage this, yet within the confines of what your souls desire and must experience as part of the Earth Experiment. I have continued to warn you to pass along to people to move away from the coasts. Yes, but a very few people, as part of the whole is very small percentage. This will grow, Tom, over the next few years—you will see. Remember, you were told that a lot of what you are receiving today is for people in the future. You assumed it would be after your death, and yes, that’s true too, but it is also for people in what I consider the near future too. CHINA’S ARTIFICIAL MOON: China reveals plan to launch an 'artificial moon' in 2020. What will become of it? Click here. MANDARIN SPEAKERS: China is indeed the future, so how many more Non-Chinese people will learn Mandarin in the next few years? Gaia, what is the probability of China launching an artificial moon in the next 5 years? This will prove much more difficult and complicated than they can imagine at this time. Therefore, the probability is low. This brings the question, are those involved some of the same scientists that were involved with the artificial moon back in Atlantean days? Good connection, Tom. Yes, a couple are. On a subliminal basis they remember that artificial moon, which we covered quite some time ago, was five miles wide. I don’t think I ever asked why did they think they needed one? We touched on that aspect, Tom. It helped power their engines and devices at that time. If you recall, the crystal energy was limited by the curvature of the Earth, so they looked for a way where they would not have to have the posers every few miles. How many non-Chinese people will learn Mandarin in the next 10 years? English will continue to be the primary language used in business, Tom. There are more people in China that speak English now than there are in the United States. Certainly, there will be those people who do a lot of business in China that will learn Mandarin in order to increase their business, but that number will remain in the thousands, as compared to millions of Chinese who will learn English. 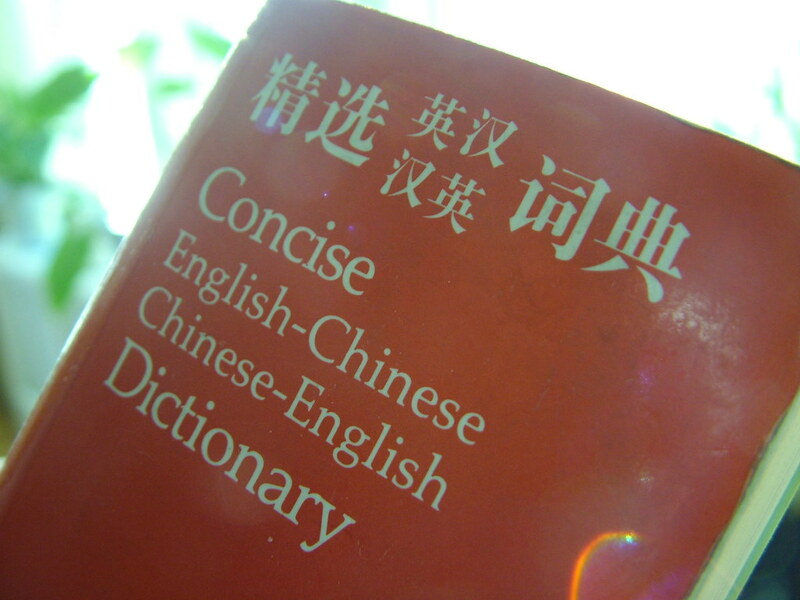 That does not mean that English will not evolve, and many Chinese words will slip into usage, but the core will remain the same. Gaia, the EPA is threatening to get rid of the transgender allowance. What is the probability of that happening? Not too high, Tom. This is but another appeal to the Republican right for votes. Should they try to cancel the benefits, obviously lawsuits will follow, but that’s not the purpose—it is but another way to appeal to a certain segment of voters, just as the sudden announcement of “investigating” a 10% cut in income taxes for the middle class. It sounds great until the numbers are crunched. Your President Trump may claim to be no politician, but he knows what buttons to push for votes. For my new readers, Antura is a member of my soul group, who, after 800 lives so far on Earth, is taking a break and is back on his home planet Nommo—a water world in the Sirius B Solar System—one of over twenty. Antura is an amphibian, and looks slightly similar to the Abe Sapien character in the Hellboy movies. Presently he based on one of those huge motherships, which is orbiting the Earth and taking millions of readings each day. You can learn why by reading my book, FIRST CONTACT: Conversations with an ET. Here are more questions I asked this past week. Jen in Montana writes: I am also wondering if you can ask Antura about my connection to him and you. I can receive yes and no responses telepathically and one time decided to ask Antura a quick question and got an instant, clear response. That seems to be the case generally with him, and I don’t know if he just expected that I would ask a question or if there’s another connection that I may have to him and also you. Since I have found you and the gentle way, Tom, I have stopped seeking, as they say. All of the answers seem to be right here and make so much sense, so I am wondering if we have a past connection? Also, will there be anyone to continue on this newsletter for you after you transition out of this life and I received a no. This would create quite a gap in a lot of our lives, and I felt a feeling of grief about it. Is there anyone you are close with who would be interested in learning this process from you and carrying the newsletter forward? I just hope you will be with us and able to do this for a long time, Tom. Please let us know if there are any BPs you would like us to say for you or for the newsletter. BPs are always appreciated for my continued good health for many years. Antura, does Jen have a connection to you or me? And she asks if anyone will come on to do the newsletter after me, or will it not be needed? First question. Yes, she does have a connection to both of us. No, it dates back to Poseidia. She knew us both then. Second question. There will not be anyone to take over the newsletter. You still have a number of years before you will be physically unable to publish the newsletter. And yes, it will be much easier for more people to be able to obtain these answers as you slowly continue to rise in the fifth focus. But what you have done, are doing, and will continue to do is quite unique. It will stand the test of time. Antura, how large is your cabin module, and how large are the cabin modules for humans, and who determined the size needed? My cabin module, Tom, is cozy, I would say. It is large enough for a bed, but also large enough to contain a tank for me to rejuvenate my body, plus it has a form of toilet facility to fit my needs. I do not feel cramped, but it also has enough space to move around and not trip on anything. It fits mentally. We are not limited on space. Some of the crew on board require larger spaces than others. The ship is large enough to be able to do that, as compared to say a smaller ship where there are limits. Regarding your human modules, there was given considerable thought to these. You might say they would be junior suite size in a hotel—not full suites as some of the luxury hotels have, but certainly not just the size of a typical hotel room, including a well-appointed bath. Still, these modules will appear quite futuristic when you see them, and we are quite sure humans will feel they are in a luxury hotel. Antura, how do you or the Pleiadians or other planetary people enter the dream state of humans, as you described last week? We use no devices or instruments, Tom. If you recall, our mental capacity, we will call, it is much greater than yours, simply because we are not veiled as humans are, and you do not have the training to insert yourselves into the dream state of others. That’s why you have guides to take you across the universe to solve others’ problems, as you would wander around during your quantum time while asleep. We all put you to work during these time periods to solve problems for other societies in the universe, or solve your own problems. Will we have the ability one day? Yes, but it is pretty far in the future for humans in general. Are we talking 100 years, or several hundred? Several hundred. I know you think that it would be shorter, but it is a very tricky thing to have not only a lucid dream, where you recognize it is a dream, but then enter the quantum field, I will call it, of another person and interact with them. That requires a lot of training, and we are not allowed to give that to you. You must learn how to do that yourselves, per the Earth Directive. Antura, to follow up, what will be the most futuristic thing about the cabin modules for humans? You must have some surprises, Tom. Can the cabin interiors be changed in an instant? Oh yes, colors of the walls, décor, scenery, you name it and we can create it. These will seem futuristic to you, as they instantly conform to your bodies. The whole design of these cabins is to allow you to have a restful sleep. We do not wish to give everything away. We wish you to enjoy the thrill of discovery. One last question. What are the sizes of the beds? Again, I’m not going to spoil the fun of discovery. Just be patient. My wife, Dena, and I were watching a TV show on Netflix, when about ¾’s of the way through the program a notice suddenly appeared on the screen saying there was a problem in transmitting, and to try back later. As this was the last program of the night, and I was planning to awaken at 4:30 am to do a “session,” we both really wanted to finish watching the program. 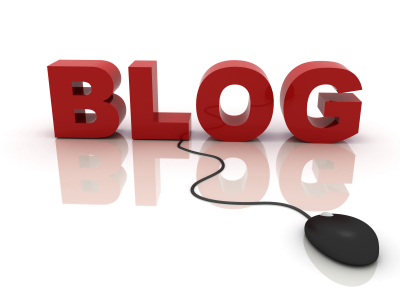 Kathy writes: I want to share a couple of MBO stories with you. A few weeks ago my husband took his car to one of the local tire stores to have the tires rotated. A few days later he said the car was vibrating at 60mph and he was going to take it to another of the same brand tire store to see what was wrong. I was fearing something expensive, like new shock absorbers or something else mechanical. We both asked for a Most Benevolent Outcome that the problem be fixed quickly, easily, and inexpensively. When he came home from the tire store he said they found that the tires were out of balance. They rebalanced them which fixed the problem... and at no charge!! Yesterday my husband took his car to the dealer because the dreaded "check engine light" had come on. Before he took it to the dealer, we both had said Most Benevolent Outcomes that this problem be fixed quickly, easily, and inexpensively. When he got there, he talked to a man in the Service Department, who grabbed a small hand-held computer and went out to my husband's car. He plugged it into the car, got the read out, and announced to my husband, "It’s a loose gas cap". The little plastic leash on the gas cap had become twisted and wouldn't allow the cap to close completely. The cost for this? Zero! This is why we truly believe in the power of Most Benevolent Outcomes and use them every day for many things. Thank you, Tom, for giving us this miraculous tool to make our lives better and easier. These questions came from Ludovic in France. Gaia, can you give us an update as to what has been found underneath the Sphinx and Giza pyramids that has not been released to the public? Yes, quite a bit, Tom. There has been exploration of the tunnels underneath the Plaza, and they have found a number of artifacts and parchments with information—quite a lot actually—dating back many thousands of years. Will this information ever be released to the general public? So far it has not even been shared with fellow colleagues in other countries. The lid can only be kept on this information so long. They will be forced to release this information as information comes out about the dating of the pyramids and the Sphinx are revealed by you know who. Are there as many miles of tunnels as underneath the Bosnian pyramid complex? Not quite, but almost. For your readers who do not know about the Bosnian complex, Tom, that would be miles of tunnels. All the pyramids in the Giza area are connected by tunnels as well as the Sphinx. To protect and allow the priests to travel from place to place unknown to the world above. The Bosnian Pyramid of the Sun is HUGE! It is one-third taller than the Giza pyramid, and I was told it is over 25,000 years old. Here is a link to an article I wrote about them several years ago: Click here. OK Gaia, next, why are there pyramids around the world—small and large ones? Yes, your ancient relatives understood their function, which you as a people have not yet rediscovered, Tom. These conduct energy—yes, even the small ones. You have been told that the larger ones act as beacons, and yes, that is true, but they also generate energy—healing energy in some parts of the large ones. Therefore, there is much to learn still about pyramid structures, and how they can be used in a benevolent way. Modern medicine may reject this information, and they have in the past, but there is a change coming as someone studies the properties of a pyramid structure. Jan writes: The following question is a request for other simple tools or guidance to help us along the path. I know working cooperatively with what we used to consider "unconscious things" is beneficial. 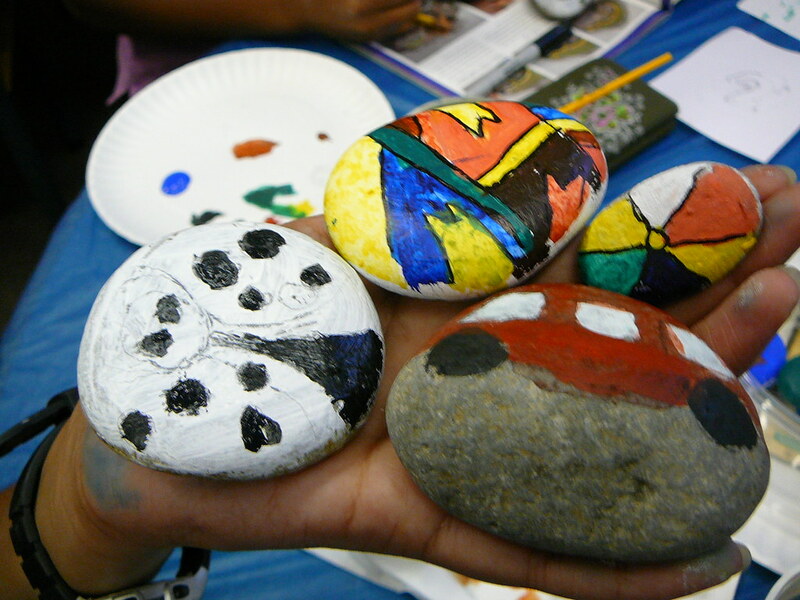 This idea was mentioned in last week’s newsletter.--it was suggested that you ask Rocks if they like to be painted and hidden for people to find before doing so. Also in your book "First Contact," the elements of the spaceship are "asked" to cooperate Antura says. It is suggested this is extremely beneficial. We are so, so far from this in our use of items that we believe is unconscious. So it seems it was suggested (last week) we would benefit from asking elements to cooperate towards our goals as we go forward, perhaps for small things to start? So how do we do this? Verbally? Any hints - use feelings? Intuition? Any process? Do we ask this out loud of the item, or more of a mental request and feel the answer? How do we feel the communication from these objects or elements? You have made MBOs a simple easy effective tool. Any help here? Gaia, how do we ask inanimate objects for their assistance – verbally, mentally? Saying an MBO or BP does not seem to be in the same category. Saying it verbally is much better, Tom. People should understand that at this stage in your development, it is more difficult to receive the “thought packets” as you do, or that feeling of acceptance, or rejection. But as Theo has told you, “Practice, practice, practice.” Still, even if you don’t feel you received anything, that object—whatever it is—will feel better that it was asked, even though the person could not receive the answer. It is a step in the right direction, you could say. It will get much easier as humans progress and your collective vibrational level continues to rise. So, although it may seem almost stupid to ask, you are raising your own vibrational levels in attempting to obtain permission. "Gaia is saying that we ALL need to send light and love to the Earth each day." My question is... how is this possible when most people on Earth are not aware of this practice? Please ask Gaia this question...I was taught to pray and send violet light, can you explain the difference between sending white light vs violet light? Gaia, what is the difference in sending white or violet light to someone or something? For the present time, stick with white light, Tom. You can’t go wrong. You will learn in the future that there are times to send a different colored light, depending upon the situation. I am being just a tad vague here, as this is something for the population to learn and understand as you study how colors are used in healing. That understanding is not too far in the future. After India gained their independence from the British, India was partitioned in to two countries India for the Hindus and Sikhs and Pakistan was a country created for the Muslim majority. It's estimated that more than a million people died during the partition. 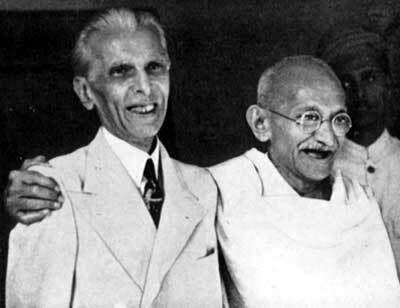 Regarding the creation of Pakistan (hence the partition), Muhammad Ali Jinnah, the founder of Pakistan, is looked at by some as being the ultimate bad guy in the story of India's independence, for the creation of Pakistan. What was Muhammad Ali Jinnah's soul contract, was it to be the bad guy? Click here. Theo, what was Muhammad Ali Jinnah’s soul contract, and was it to be cruel or did he go off his soul path? His contract, Tom, was to be a strong leader, but not necessarily a nice one. Men, and women, let’s not forget, with that soul contract to be a leader of a country must learn how to lead, but also how to follow, and how those decisions affect all those that they lead, along with other people affected by their decisions. Therefore, Mr. Ali Jinnah had quite a bit of balancing to do after that life. He could have been more benevolent than he was, but at that stage of development he was a younger soul. He did not wish to show any weaknesses. Antonia writes: Did Sinclair Lewis channel his book: Can’t have it here by Sinclair Lewis...? It certainly seems so. Theo, did Sinclair Lewis channel his book or books? Like all great writers this was a group effort, you could say. He was able to successfully receive these thought packets. So, in a way, you could say he channeled this information. Yet he would not have described it that way. It all depends upon one’s beliefs.